Our all existing hospitals are multi-speciality hospitals with world class facilities. 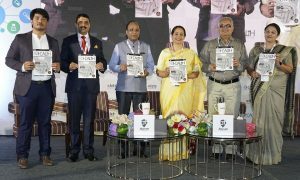 We have doctors with strong clinical expertise who can help us build our brand by delivering the best of the medical services, says Binay Shetty, Vice Chairman and CEO, BRS Ventures, in a conversation with Gopi Krishna Arora of Elets News Network (ENN). Q BR Life, a leading healthcare services brand, today caters to people across India and in different parts of the world with high quality services. How has been this journey? My father, Dr B R Shetty, had migrated to Abu Dhabi way back in 1973 with a dream. While he started his career as a pharma sales representative, he observed and realised the dire need of providing quality healthcareto the people in Abu Dhabi. This prompted him to start his first healthcare venture, the NMC (New Medical Center) Group. What started as a small hospital where my mother was also working as a doctor, it has turned out to be the UAE’s one of the largest integrated private healthcare providers today. Although the journey was tough, but my father’s determination and will power to succeed was very strong. Since NMC Group’s inception in 1975, we have not looked back. We have strategically expanded our healthcare facilities and services to other parts of the world over the years. With a strong desire to give back to the motherland, my father decided to foray into India with BR Life in 2013. Our motto was simple. We wished to offer affordable yet quality and world class healthcare facilities to everyone in the country. We started this process with the Government-owned Mother and Child Hospital in Udupi. BR Life today has SUT Pattom Hospital in Thiruvananthapuram, Kalinga Hospital, in Bhubaneshwar, SSNMC Hospital in Bangalore (Bengaluru), and SNH in Raipur. We are also planning to expand our footprints in India’s every metro city. Our plans of setting up a Medicity in Amaravathi, Andhra Pradesh is already in progress. Q Tell us about BR Life’s mission and vision and how is it contributing to make healthcare accessible and affordable in India? My father has been a firm believer in the fact that affordable, yet quality healthcare must be made accessible to everyone. Almost four decades after setting up his healthcare venture in Abu Dhabi, he decided to invest in changing the Indian healthcare scenario. BR Life’s mission is to provide quality world class healthcare facilities at an affordable cost and accessible to all. While profitability remains a part of our business goals, we are more focused on adding value, and consider ourselves as long-term players in India. Our team is well-versed in both operational and supply chain efficiency. Q What specialties do you offer to patient in terms of i.e Cardiology, Critical Care, and Emergency medicine? We have always believed in giving the best quality and affordable healthcare to everyone. All our existing hospitals are multi-speciality hospitals with world class facilities. We have doctors with strong clinical expertise who can help us build our brand by delivering the best of the medical services. In our hospitals, we provide major facilities like cardiac sciences, emergency medicine and trauma, neuro science, nephrology, general surgery, organ transplant, medical and surgical oncology, and gynecology. Q How do you calibrate Indian healthcare delivery system in terms of leveraging technology and innovation to enhance patient care? Technological innovation has been revolutionising the entire market of healthcare industry across the globe. With the emergence of new technological innovations such as Artificial Intelligence, Machine Learning, Robotic Process Automation, Cloud Computing, Automation and Analytics, the sector has been undergoing a lot of changes. These rapidly evolving technologies have enabled healthcare players like us to connect with patients irrespective of time and space and offer health advices. Telemedicine is one such example that has empowered both, the patients in remote locations and our doctors to connect and consult in real- time and stay healthy. 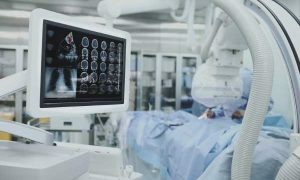 In India, with a spurt in the growth of IT companies and start-ups, a lot of hospitals are already adopting advanced medical technologies to modernise clinical care, reduce cost of medical facilities, automate processes and avoid duplications of tests. However, the reach of such healthcare units is still restricted mostly to the Tier-1 cities and the super-speciality hospitals. These improved and innovative technologies should be deployed mainly in the government hospitals in Tier-2 and Tier-3 cities, where quality healthcare is still a concern. Q Have you collaborated with any State Government to boost different deliverable of healthcare? Yes. In India, the most beneficial way to collaborate with any State Government is through Public Private Partnership (PPP) model. Our aim is to enhance the quality of our healthcare system across all locations. The PPP model helps in delivering quality services, improving the overall healthcare scenario in the country. BR Life has taken over the government’s existing Mother and Child Hospital in Udupi, Karnataka through a PPP and has constructed a new hospital that currently offers free medical care to the underprivileged section in this region. This is a 200- bed hospital that offers high-quality healthcare services with advanced diagnostic facilities together with the highest level of care and commitment to the people. Also, BR Life has been selected by the Government of Karnataka to set up, upgrade, operate and manage dialysis centers in seven clusters across the State for five years. This is first of its kind PPP project undertaken by the Government with our support. A year ago, when we started the dialysis centre, we could only provide 3,500 treatments per month. Now, we have crossed 21,000 treatments per month. Q In India, primary healthcare is found wanting in terms of basic facilities. What is the remedy, especially for rural India? Currently, most of the quality healthcare facilities are provided only in the metro and Tier-1 cities. Almost 60 percent hospitals, 75 percent dispensaries and 80 percent doctors are in urban areas servicing only 30 percent of the country’s population. This situation itself paints a grim picture regarding the unavailability of secondary or tertiary care services in rural areas, leading to higher costs of healthcare for rural population. We need to keep extending our services in Tier-2 and 3 cities and rural areas as well to ensure that quality and affordable healthcare services are made accessible to all. More investment from the Government in the healthcare sector and PPP model in rural areas will help in improving the industry and providing high quality services to the patients. At BR Life, our motto is simple and easy – to focus on accurate diagnosis, scientific treatment, and precise delivery of healthcare services. Scientific cost accounting, standardisation of procedures, proper training, and alignment with expert medical and non-medical professionals are few of the focus areas that BR Life is working towards tirelessly to improve patient experience, engagement, and satisfaction in all its existing and upcoming hospitals. Q What are your expansion plans considering the huge opportunity Indian healthcare today offers? There is a huge opportunity in the Indian healthcare market. We have already initiated expansion by increasing our capacity in the acquired hospitals. We are increasing the capacity of BR Life SUT Pattom Hospital to 423-beds. We also have plans to increase the number of beds in SSNMC hospital in Bengaluru and Kalinga in Bhubaneshwar in the fiscal year. We are also in process of setting up a 600-bed multi-speciality hospital in Varanasi, an additional wing in Udupi in conjunction with our existing Mother and Child Hospital, to ensure more patients get access to our services. We are also starting a medicity in Amaravathi, Andhra Pradesh.